If you could safely turn $8 dollars into $40, would you? What about turning $800 into $4,000? Same question, right? If you answered yes to those questions, which I’m sure you did, then you’re already onboard with half of today’s energy story. That is, most American shale oil wells are set to payout at the odds above. You see, the average shale oil well costs anywhere from $5-10 million to drill, complete and put into production – let’s call that $8 million in total upfront cost. Once put in to production, though, the estimated ultimate recovery (EUR) for a productive well could payout to the tune of $30-40 million. That’s exactly why producers from Texas to North Dakota to Oklahoma are scrambling to drill. The payouts are too lucrative to pass up. First, the U.S. oil boom is bigger than expected. From my perch this is more of a “duh” observation. Following America’s oil and gas shale boom since 2008, I’ve yet to see much of anything slow down. It gets back to the question I asked above. Indeed, if these shale wells keep paying out at three or four to one, then drillers are going to keep drilling and keep moving the needle for U.S. oil. 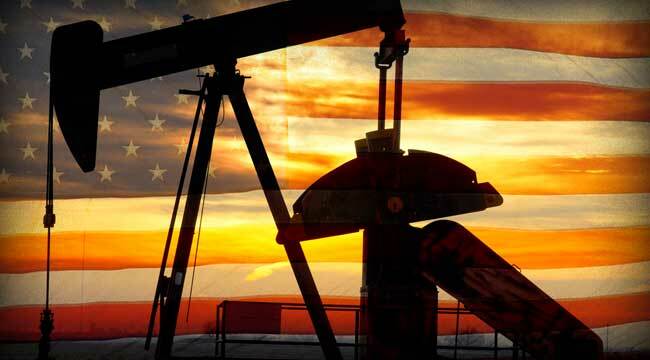 In fact, this week at the Platts conference the International Energy Agency (IEA), released its latest Oil Market Report and found that America’s shale boom is growing even larger than expected. It’s also set to have a profound effect on OPEC. OPEC is also set to produce (or have the capability to produce) a heckuva lot of oil. One main driver of that supply growth is that Iraq. After a turmoil-filled decade Iraq is coming back online in a big way – and could add another three million barrels per day to the oil mix by 2018. To put Iraq’s oil growth in perspective, three million barrels is the same amount of increase that the U.S. has seen since 2008. Essentially it’s the equivalent of our domestic shale boom. Of course, with Iraq we’re talking about cheaper, conventional oil. But you get the point. So you see, once you start lumping in all of this oil – along with Saudi spare capacity – the market seems a bit flush. The first reason, I’m told, we’re seeing high crude prices even in the face of high U.S. production and inventory is that there’s still a Middle East fear premium built into the market. Sure, that’s all well and good, but is the fear premium really jacking up the price $10, $15, $25? Of note, there haven’t been any large-scale supply disruptions, other than Libya and Iran (due to sanctions.) Add it all up and OPEC has the capability of producing and shipping more oil than we saw last year – and over the next two years that spare capacity is only set to rise. The other answer to the “why high prices?” question was the fill gap, central bank easing. But even he who said the answer is skeptical! In his own words $90 is not “the best forecast, but this is what the market is believing” he says. Along with the fear premium argument, I’m not buying this central bank jazz. All we have to do is look towards gold prices and other commodities to see that central bank printing isn’t keeping them afloat. Heck, copper prices are off 13% since February. So you see, we’ve only got two reasons why oil prices are clinging to the mid-90’s. But both excuses look like wobbly deuces at the bottom of the house of cards. I don’t think today’s $90+ price is going to last much longer. And when prices begin to swiftly retreat, the OPEC member nations are going to have their work cut out for them. U.S. demand is waning and supply is rising. It’s not a good day to be a cartel member.